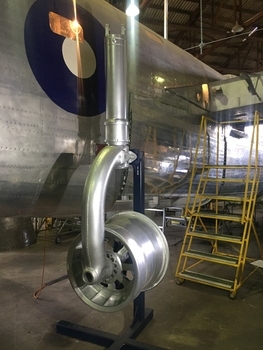 The museum is a memorial to the air crew and ground crew who flew and serviced the B-24 Liberator bomber during World War 2 operations in the Pacific area. A Liberator bomber is being restored and will form the centrepiece of a museum complex including a Memorial Wall and WW2 arefacts. 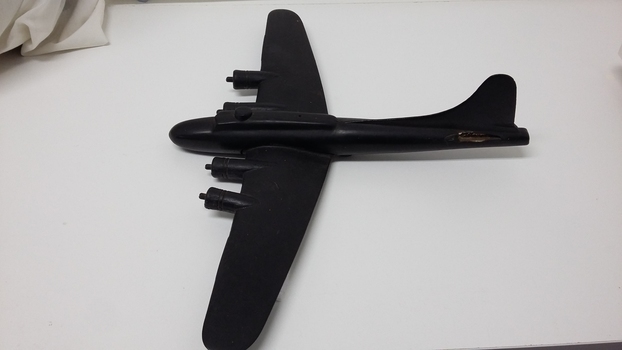 The collection is a memorial to all personnel who served with B-24 Liberator heavy bombers during World War 2, particularly RAAF and USAAF personnel in the Pacific theatre. 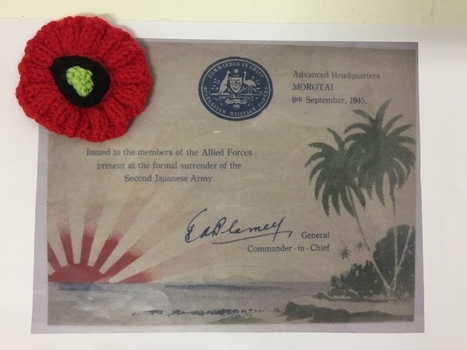 The collection reflects on the times and experiences of those who gave their time and health, or life, while defending the democratic beliefs of the allies and importantly, the security of Australia. 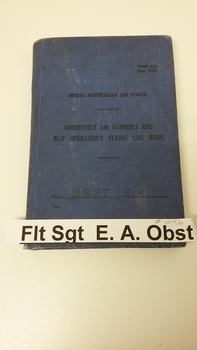 Based upon the B-24 Liberator, the collection recognises specifically joint RAAF and USAAF operations commencing in Australia with the training in the late 1930s of RAAF pilots in conjunction with the Empire Air Training Scheme, through to the joint USAAF operations north of Borneo in 1945 countering Japanese advances into the region and culminating in the end of the war. 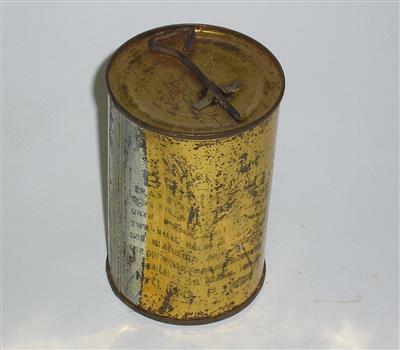 In particular, the collection concentrates on the period 1943 to 1947. 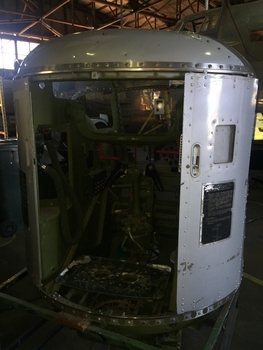 The collection includes the ongoing restoration of one of the RAAF?s last obtained B-24 Liberators (A72-176). This aircraft is significant as the only surviving example of its kind in the southern hemisphere. It is also an important part of Australia?s aviation history. 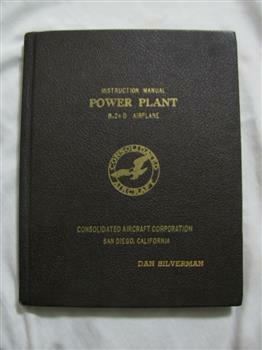 In addition to the B-24 Liberator, the main focus of the collection, there is a range of equipment and artefacts relevant to the training and service of B-24 Liberator air and ground crews; the early stages of building a replica Airspeed Oxford training aircraft; flight simulators, models, books, photographs, uniforms, and memorabilia. 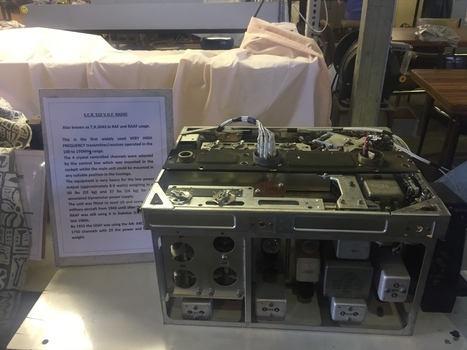 The objective of the collection is to be a memorial as well as to give visitors the opportunity to view this aircraft and to understand the training pilots and crews underwent from basic training through to operations against the enemy. 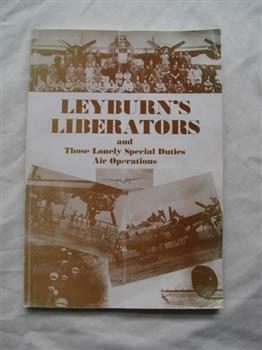 A history of RAAF 200 Flight at Leyburn Airfield. A little known story of secret operations. Form A.73.(June1938) . 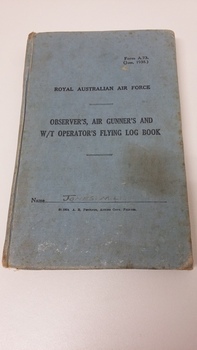 Royal Australian Air Force Observer's Air Gunner's and W/T Operators Flying Log Book. Jones M.L. 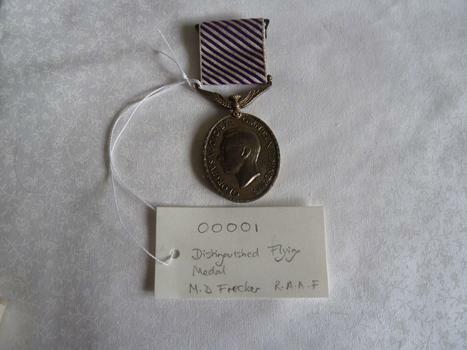 The Distinguished Flying Medal Register WWII. Flight Lt Frecker, Mason Day. Campaign Stars 1939-45 Star. Aircrew Europe Star. Pacific Star. War Medals - Defence Medal, War Medal 1939-45. Frecker carried out 7 sorties before joining the unit and 21 successful sorties with his squadron making a total of 179.4 hours operational flying. He was attacked and badly damaged by a night fighter on 12 April 1942, after attacking Essen. He brought his aircraft home and successfully crash-landed away from base without causing injury to his crew. Throughout his tour of operations he maintained a high degree of courage and skill. 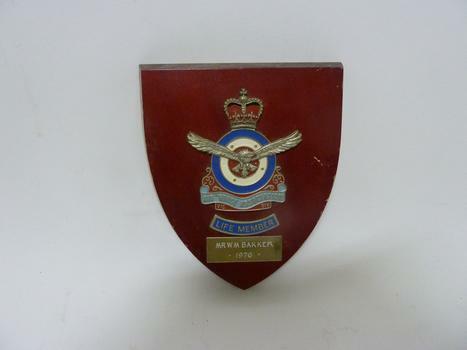 I. Edmiston was in the RAAF from March 1942 until December 1945 and was a navigator on a B-24 Liberator between Early 1943 and June 1945 with Coastal Command and 160 Squadron. 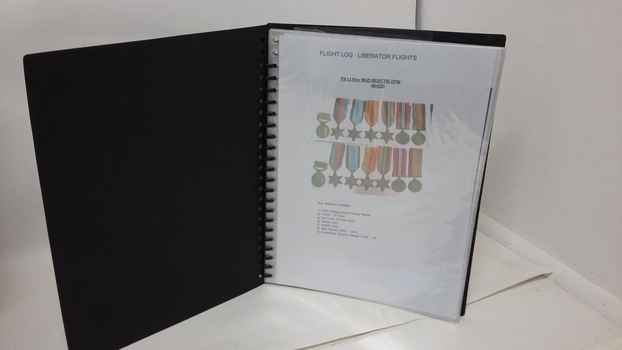 This oral history of Ian Edmiston is of historical significance because it provides a first hand account of the individual's experience during World War II as a member of the RAAF who trained at Cootamundra, Evans Head, Parkes, Prince Edward Island and the Bahamas Islands.He saw active service as navigator in a B-24 Liberator aircraft in the South East Asian Islands. 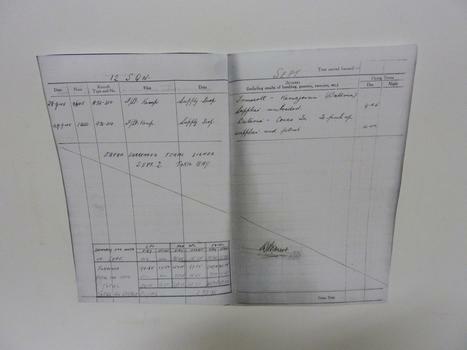 Photocopies of Bill Bakker's Flying Log Sheets - June, September, October, September, September. 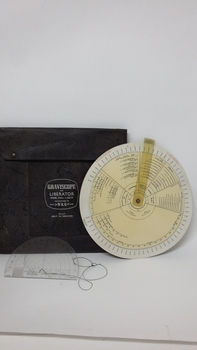 Astronomical Compass used by the Navigator in B-24 Liberator aircraft. 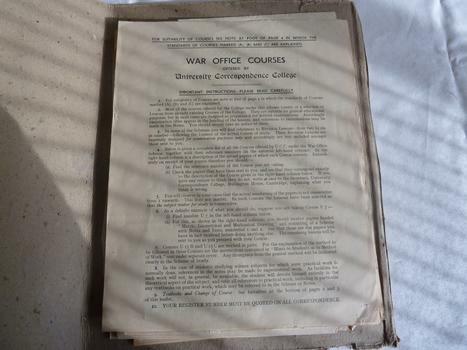 Complete in original wooden box. 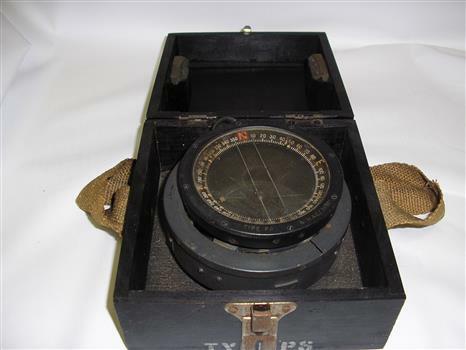 Compass marked - A.M. Astro compass MKII CA/1174 Box marked - Delicate instrument, to be handled with great care. 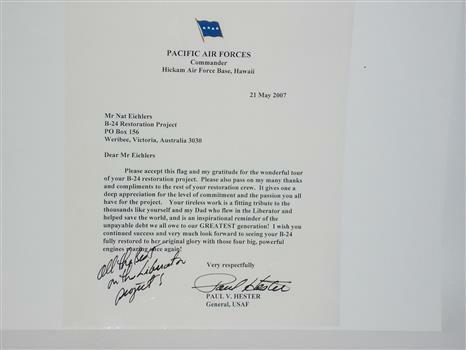 Letter from Paul V. Hester, General, USAF given with flag expressing gratitude for B-24 restoration project and tour of the hangar. 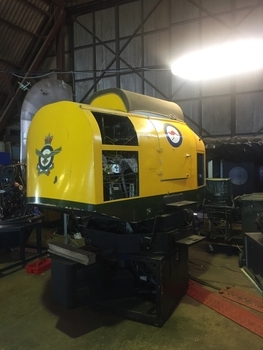 The instrument Flying Trainer Type D4 MK1 (Link Trainer c1950) is an electrical, mechanical and vacuum operated motion simulator. 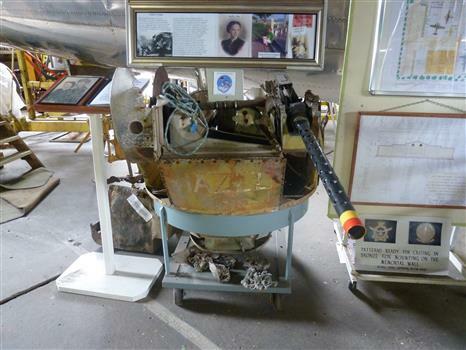 It was used by the RAAF as ground equipment in teaching all phases of elementary and advanced instrument flying. Rectangular blue linen bound hard cover book. 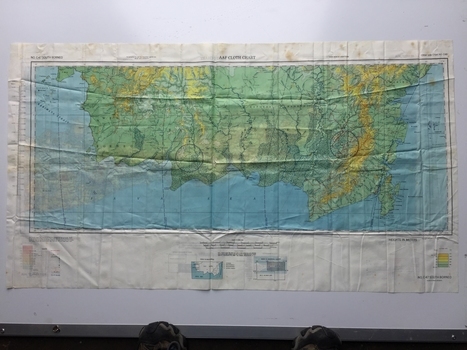 Used by RAAF for navigation training primarily in Tiger Moth and Spitfire aircraft. 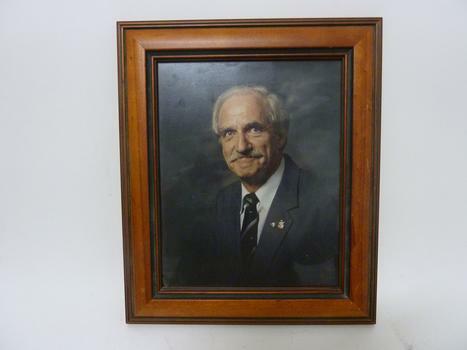 Colour photograph of William (Bill) Bakker in frame. 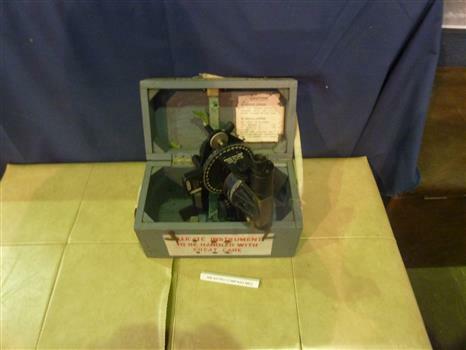 Camera used by Vern Roberts, RAAF 24 Squadron during 1943-1944. 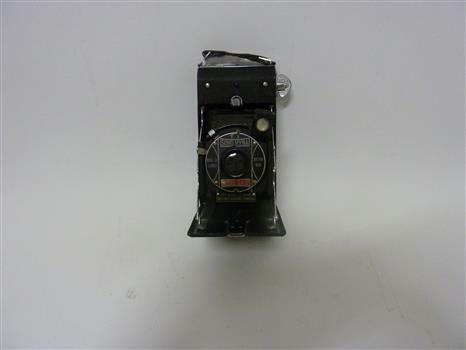 Camera was used during 1943-1944 by Vern Roberts, RAAF 24 Squadron. Red hand knitted woollen poppy, with black ringed green centre mounted on attaching pin. 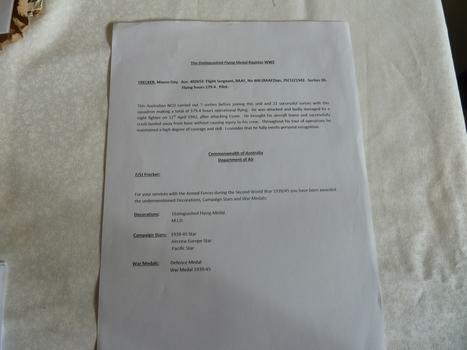 Copy of surrender certificate attached. 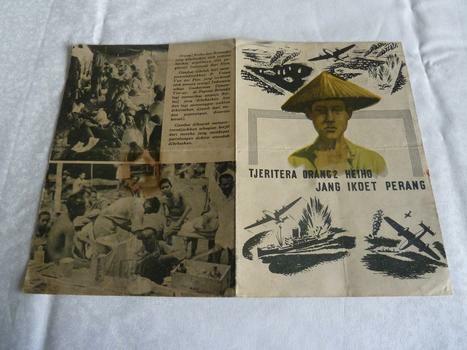 Presented at the surrender at Morotai 9 September 1945. 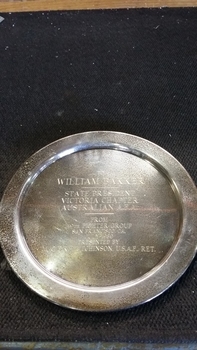 Round Silver Plate presented to William Bakker, State President, Victoria Chapter, Australian Air Force Association. William Bakker, State President, Victoria Chapter, Australian Air Force Association from 49th Fighter Group San Francisco, Ca. July 1980. 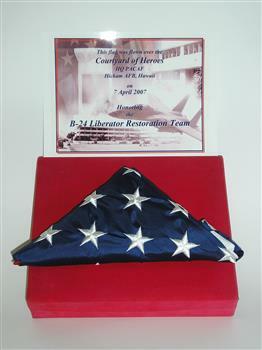 Presented by M/G Dr Hutchinson USAF Retired.